As a needlework designer, would you like to bring your original counted thread or embroidery designs to a trade show? You know how important it is to be visible and make new contacts, but may not know how to get started, or you may be concerned about the finances involved in going to a trade show. 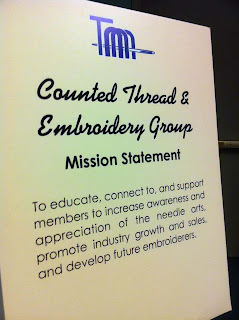 The Counted Thread & Embroidery Group (CTE) of The National Needlearts Association (TNNA) is giving you the chance of a lifetime: to WIN a trip to the 2013 Summer NeedleArts Trade Show. 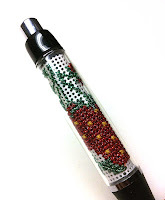 TNNA is a membership-based trade organization for the needleart industry. 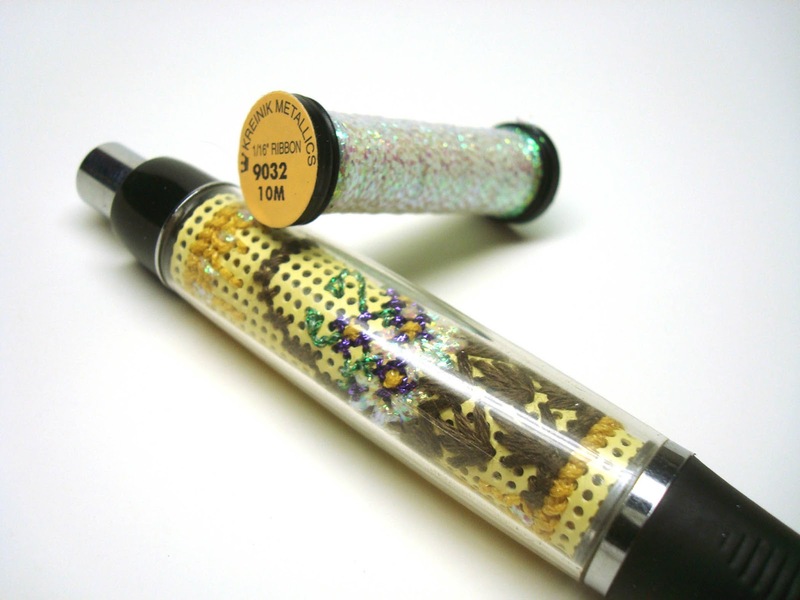 This community of professional needleart businesses, which includes publishers, retailers, designers, distributors and manufacturers, works toward ensuring a successful industry now and for the future. The TNNA trade shows attract retailers who want to see trends, take classes, discover new products, and buy new designs that will excite their customers. 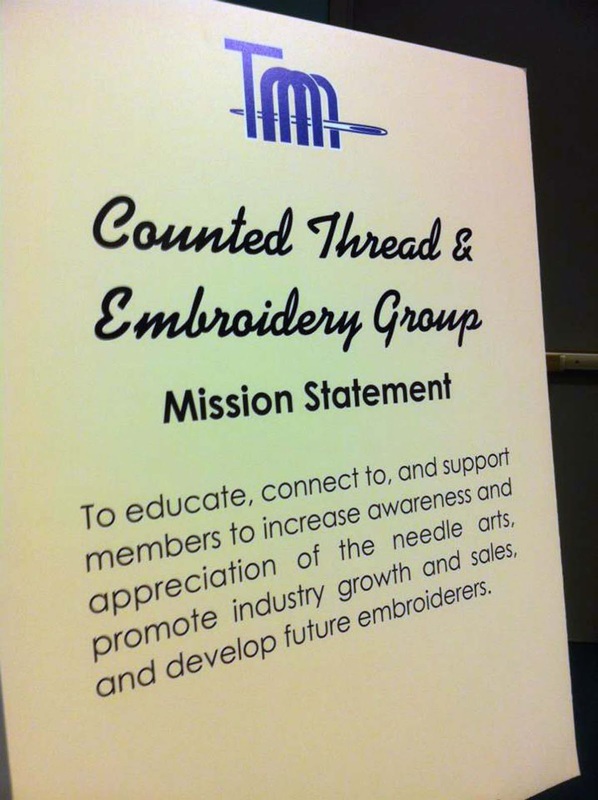 TNNA's CTE group will be awarding scholarships to up to five new counted thread/embroidery designers to exhibit at the 2013 Summer Needlearts Trade Show. 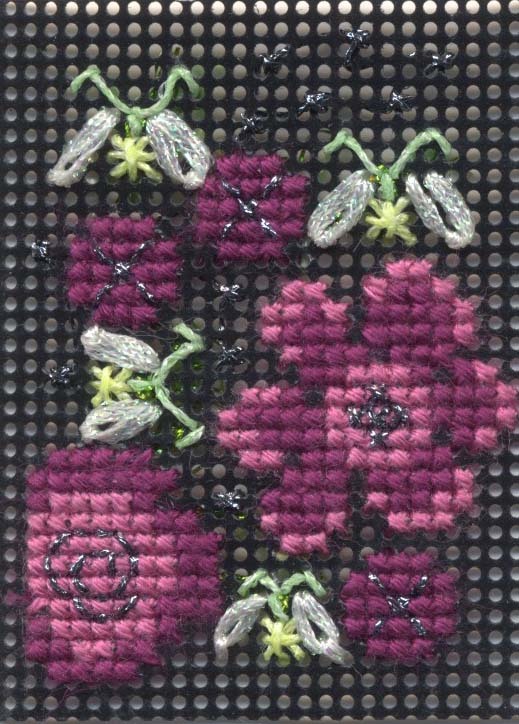 This New Designer Program is a way to help new counted thread and embroidery designers with creative ideas and irresistible excitement reach national and international retailers. 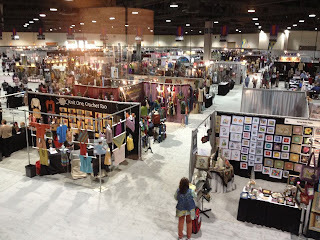 The Columbus trade show is an order-writing show, closed to the public, scheduled for June 22-24, 2013, at the Greater Columbus Convention Center in Columbus, Ohio. Scholarship includes exhibit space plus tables and chairs. Designers winning the scholarships will share this exhibit space. This scholarship does not include transportation or lodging. However, a stipend to help defray expenses will be provided to each recipient. Winners will be determined by a juried process: a committee of TNNA/CTE members will be looking for quality design, presentation, and originality. You have the ideas and talent, now it’s time to attend a major industry trade show. Don't delay; your portfolio is due by May 1, 2013., with judges’ decisions by May 15; winners will be notified May 17, 2013. For details on the rules and application process, download the PDF below, or email newdesignerprogram@gmail.com. 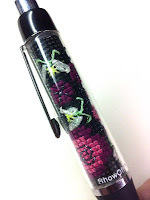 Spring and summer inspired the three new designs in Kreinik's Stitch-A-Pen kit series. 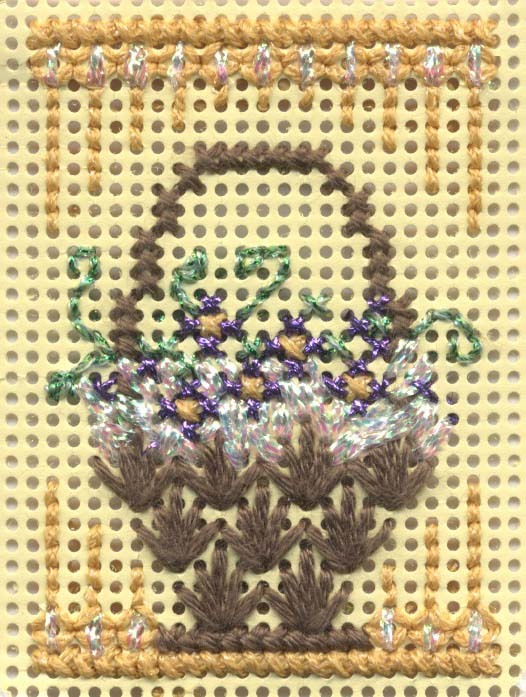 Easter Basket, Strawberries, and Fireflies feature bright, cheerful colors of Kreinik silk and metallic threads. 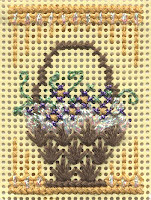 The Fireflies design uses glow-in-the-dark threads—of course!—and Easter Basket uses the new Kreinik color 9032 Easter Braid. 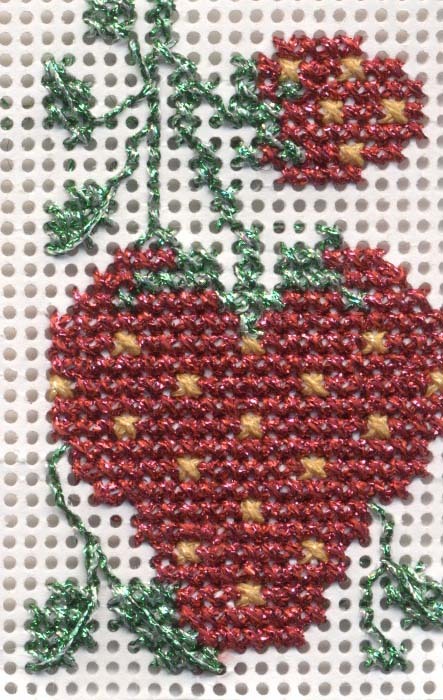 Each design can be stitched in as little as two hours, making them perfect for gifts. 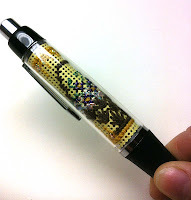 You get stitching satisfaction with a quick project that's useful and self-finishing. Stitch-A-Pens are full kits including the pattern, thread, needle, perforated paper and the pen. Visit kreinik.com for more information. "No, we are not from Scotland." This was our response to the Pakistani cabbie during our recent trip to Birmingham, England. (I did not realize that my accent was so strange.) We shared a laugh about it, but the conversation epitomized how culturally diverse any trip abroad can be in our times. We were quite surprised that most people recognized West Virginia when we were asked, "Where are you from?" While they couldn't place it on a map, they could sing a song about it (John Denver's reach is still far and wide…). Traveling overseas can be an adventure, and traveling overseas for a trade show can offer incredible challenges. Finding your way, eating the food, walking down the correct escalator, making sure that your product arrives on time and learning new words can add to the experience. A favorite word was travelator, which means a moving sidewalk. Polite is how we found the Brits. I asked about a "flapjack" and the clerk pointed and said the fruit ones and the chocolate ones. Actually they were rolled oats with sweets. If we looked lost, everyone made sure that we knew the proper direction, and then we had to figure out what was said. Often we would head for the escalator and realize that everything is on the opposite side, down was up and up was down, right was left and left was right from that which we were accustomed. We learned to watch for oncoming cars from a different direction and listened to the charming British lady (a recorded voice) reminding us that the lift doors would be opening or closing. Riding in autos was a little unnerving, especially sitting in the "driver's seat" without a steering wheel. The food was quite good and diverse. We had Balti (Indian food originally from Punjab), piri piri in a Mozambique/Portuguese restaurant, fish and chips with mushy peas at a cute little English pub, plus sandwiches and crisps, and one night Italian food. At the Italian restaurant, the food was great, but since we were very tired and not the most willing customers in ordering the full course (no wine, no salad, no after dinner drink, no coffee), the owners took a particularly lengthy time to bring the bill. Basically we were told, when you come back to town, do not bother shopping here. As a time traveler though, you sometimes feel like falling asleep during and after dinner, so we were watching what was consumed. We were treated well at the border, almost did not get my product through Customs for the show, and the attendees were again polite. We met people from all over the UK and from other countries. The stand next to us was a Ukranian company selling ribbon embroidery. Other vendors exhibited decoupage; maybe Mod Podge® will cycle back to the States. Overall the trip to Birmingham was fun, interesting and added to our knowledge of British hospitality. This week we head to Nashville, Tennessee, for another trade show and another adventure no doubt. Have thread, will travel!